How to get Rid of Your Headaches? This is obviously a question that has annoyed a lot of headache sufferers out there and the answer lies in what type of headache you actually have. You can read more about headache pain and how chiropractic may help here. With so many different types of headaches, there are often different types of treatments. If you don’t know what type of headache you are suffering from, it’s always best to talk to a health professional or your doctor and get a little bit more clarification on that. We are going to talk about the most common headache and this is a tension headache. Often what people feel is a lot of tightness around their neck and their shoulders. They feel a tight band around their head, sometimes they get a little bit of light or sound sensitivity: usually you can go about your day, it’s not necessarily super debilitating. 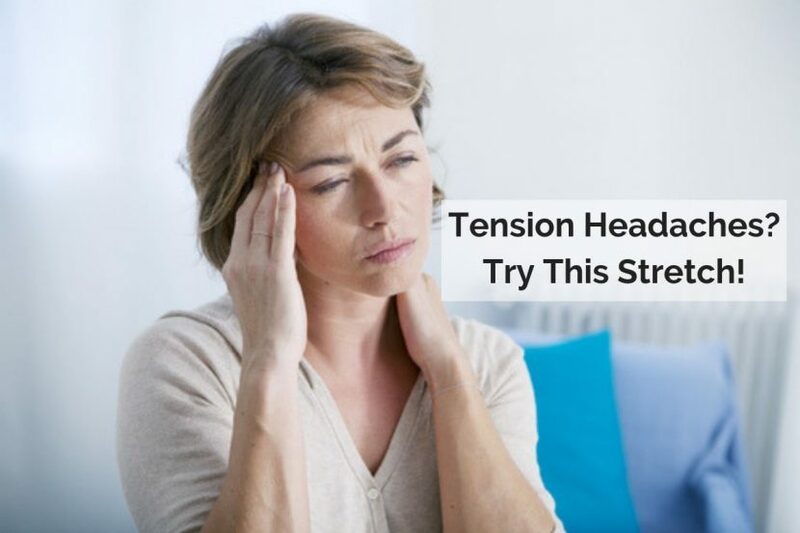 We actually don’t know what causes tension headaches but it has been associated with the tight neck and shoulder muscles. So I’m going to show you a quick exercise that can potentially help you relieve your tension headaches a little, especially if you’re a desk worker and you’re in front of a computer all day. So this exercise is called the chin tuck exercise and luckily for office workers all you need for this exercise is a chair. You don’t want to go down, you just want to go completely back. You’re almost giving yourself a double chin. What Does This Exercise Aim to Achieve? So in doing this exercise, what you’re trying to achieve is to stretch out those back muscles in your neck because they’re the ones that tend to get tight when you get tension headaches. You’re also trying to activate those front muscles on your neck because they tend to get a little bit lazy when you have very poor posture. So the benefit is that the stretch does work two ways. Hopefully that helps you out. Give us a few likes if it does. Comment in the section below if you do have any comments and we will see you soon.